Looking for private in-home or in-studio Broadway Singing lessons? Our Fall River teachers are ready to get you started. Find your teacher today! Check out some of our most popular teachers near Fall River, MA including Warwick, Providence, Barrington, Westborough and Shrewsbury. Need help auditioning for that School Musical? Want to get a lead role in the next Show? I teach how to sing and act. I give you instructions on site-singing, vocal techniques for Broadway, Classical, Opera, Pop, Gospel and many other styles of Vocal Music. I also work on stage presence and acting. 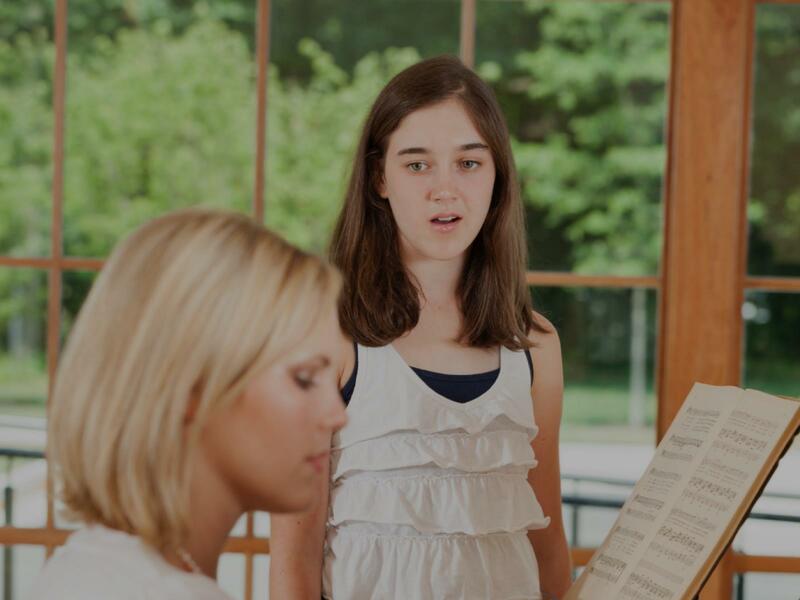 I teach voice in a student-centered fashion—First, I learn about the student’s interests, goals and previous vocal training. Then, I create a personalized curriculum designed to keep them interested and reach their goals. Proper technique, including warm ups and cool downs, is key. Music is my passion and I’m able to share my own professional experience as I have been singing professionally for the past 25 years. I began my career in musical theatre and then went on to lead numerous projects and bands that range from jazz, rock, and country to pop. 25 years of teaching voice has given me the joy of helping singers of all ages and abilities realize their full vocal potential. As a vocal technician, my approach to teaching is based on the principles of vocal science, as well as my own proven theories. My students not only increase their range, vocal strength and develop a better tone, many of them have gone on to perform in major theaters throughout the nation. Whether you are a musical theater, opera, rock, jazz or pop singer, my technique will help you trust your voice and free you to be creatively expressive. Whether you sing musical theater, classical, pop. jazz, country or rock, you will learn how to use your voice well. It won't hurt, you won't get hoarse, and you'll create sounds you've only dreamed about. Hi! I'm Lauren Sawyer. I am an internationally known singer and business owner who is passionate about vocal technique. Singing well is a SCIENCE. I have developed proven exercises that will make your voice resonant and strong. Singing is also a BELIEF. Our work together will give you the courage to release your voice from self doubt and help you experience the immense joy that comes from being creatively expressive with it! For over 25 years, this has been the essence of my teaching philosophy. audition repertoire. As Founder of Boulder Music Institute, a summer training program for artists, my work is all about empowering, guiding and creating jobs for the singer. My relationships with talent agencies in the United States and Europe have helped many performers launch their professional careers. The BEST! Lauren is an impeccable musician, teacher, and vocal technician. I studied voice in college at Oklahoma City University and started taking lessons with Lauren after a 4-year break from singing. Since my first lesson, I have seen consistent improvement in my technique and confidence. My voice is the healthiest it has ever been! I am creating sounds that just BLOW ME AWAY! Lauren has a wide range of students, from beginners to advanced. Opera to musical theater. One thing you can be certain about her is that she has a passion for teaching. The commitment to help you improve is there. In my opinion, that is what you want in a teacher. I have the utmost confidence in recommending Lauren to someone who is looking for a teacher. Lauren is a great professional! When I started my singing lessons with her, I was not confident about my voice and I was not sure if I would be brave enough to audition for musical theater. She has been helping me to get over my fear and believe in myself more as well as she has taught me techniques that really improved my voice. Now I know that all of this is possible. Lauren is just amazing; knowledgable, positive and encouraging. I have a vocal tremor meaning my voice shakes when speaking and I lost the ability to sing. With Lauren's help, I am strengthening my voice. I had voice therapy sessions with a medically trained therapist where I made no progress and was encouraged to accept my 'limitation'. With Lauren, I didn't have to settle for accepting my limitation. Rather, I am making huge progress, thanks to her technical expertise, knowledge and encouragement, My speaking tremor is nearly gone and I can sing again! I am trained in musical theatre, pop, and opera. I have been training myself for 12 years and I have been teaching children, college aged students, and adults for 3 years. Hi! My name is Kate. I am currently a college aged student. I have worked with children through adults ages 6-51. I have experience working with special needs children on voice and music. I love what I do and I believe that we are all students. I will work on whatever subject you’d like to work on while teaching you the fundamentals. Can't find a teacher in Fall River, MA?